2012 Tracker Pro 165 2012 Tracker Pro 165 - #359 Silver with grey carpet. 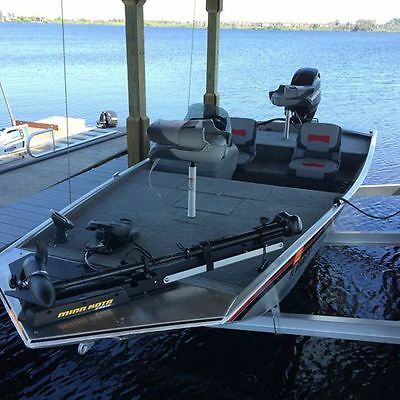 New: Minnkota Edge 45lb. 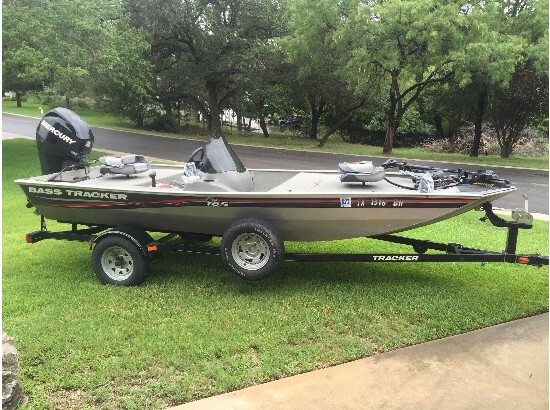 thrust 12 volt trolling motor, new Piranha Humminbird graph, new batteries, new tie down straps, new tires and chrome wheels. Mercury 40hp EFI 4 stroke motor with 463 hours. Fully serviced by our Marine Tech with new oil change, water pump impeller, new prop and lower unit grease. 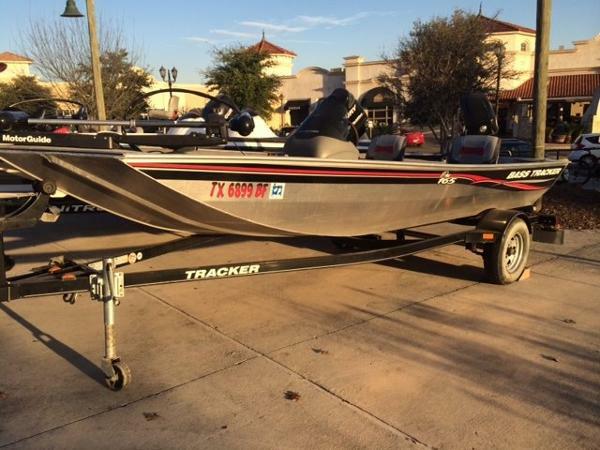 Tracker trailer is included in the price. Length is 16'2" beam is 6'5" dry weight is 745 lbs. Journey auto & Boats193 Automotive Dr. Richmond KY 40475 We accept Tradeins Financing available. We specialize in Pontoon sales, trying to keep around 100 instock each Spring.We do sell new Bentley Pontoons, Sweetwater Pontoons, Aqua Patio Pontoons and Crestliner Pontoons, we also sell new Crestliner Aluminum boats and Hurricane Deck boats. We do try and keep a lot of used Pontoons instock including: Berkshire, Lowe, Suncruiser, Starcraft, Sunchaser, Sylvan, SunTracker, Tracker, Avalon, Harris, South Bay, Weeres, Bennington and Parti Kraft. 2013 Tracker Pro 165 Even more value for 2013! The TRACKER Pro 165 is even more pro for 2013. Its now rated for up to 50 horsepower. Weve added a lockable rod box, courtesy lights, cleats, plus an all-new dash with a speedometer, tachometer and fuel gauge. 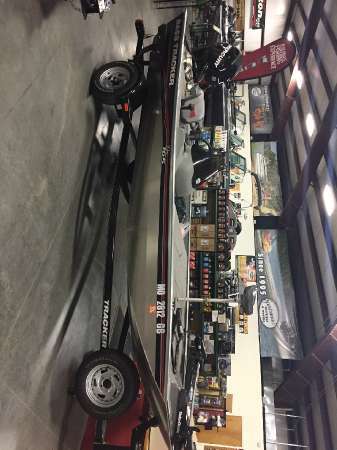 Better yet, this aluminum fishing boat comes outfitted with the same fishing components found on all our Pro Team models: a Lowrance X-4 Pro fishfinder and a Minn Kota Edge trolling motor. The 15 gal. (56.78 l) bow livewell even has a bait bucket holder. And its tough aluminum hull features a wide and stable 54 in. (1.37 m) bottom. Even the trailer has been updated with heavy-duty load guides. Check out the pictures of this consignment boat. Great Shape. Only 22 Hours on the Motor. 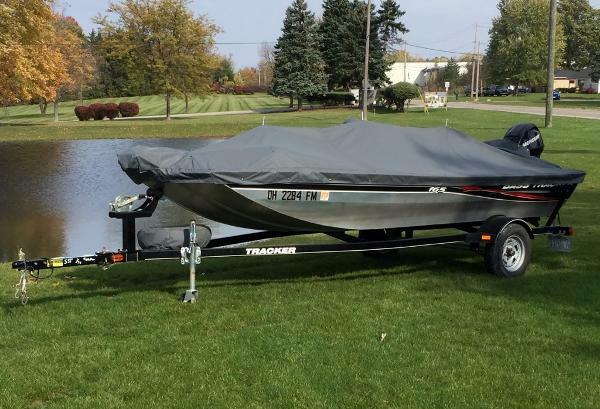 - 2013 Tracker Pro 165 with Mercury 25ELPT 4 Stroke engine and Trailstar Trailer. 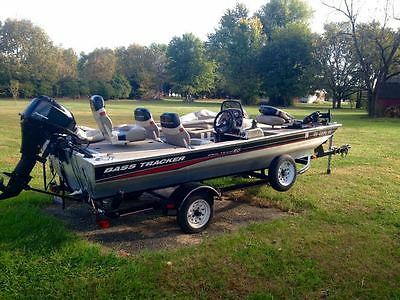 2012 Tracker Pro 165 2012 Tracker Pro 165 w/Mercury 40ELPT & Trailer. 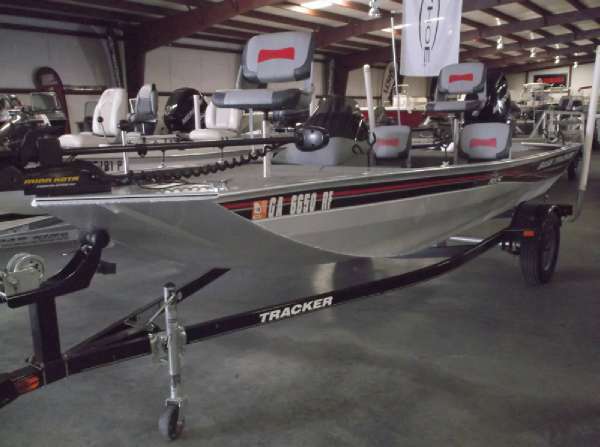 2011 Tracker Pro 165 Rides on an all-welded .100 aluminum hull w/ a wide, stable 54" (1.37 m) bottom>All-welded, corner-braced aluminum transom and full-length longitudinal stringer-for structural strengthMotorGuide 12V, 46-lb. 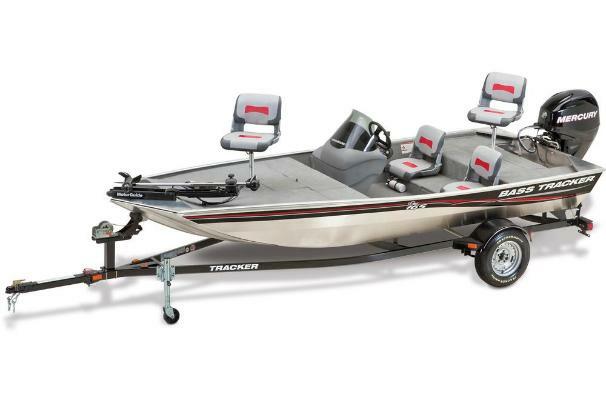 thrust foot-control trolling motorLowrance X50 DS fishfinder w/surface temperaturePort side rod holders w/organizers for rods up to 8' (2.44 m)Bow 15-gal. 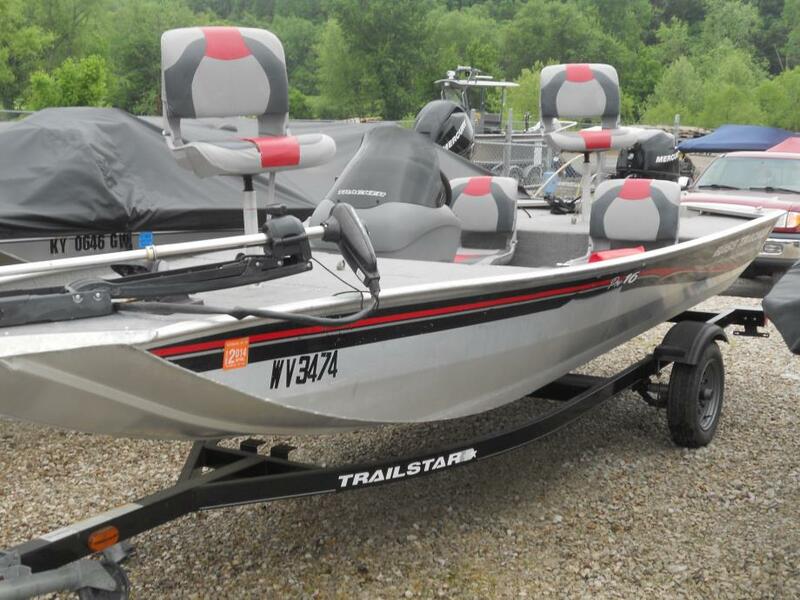 (56.78 L) aerated livewell w/bait bucket holderHelm and buddy seats w/storage below2 fishing seats w/NEW secure screw-in pedestals and pinchless hingesCranking and trolling batteries by InterstateEasy-fill fuel tank systemFlush-mounted all-aluminum deck lidsCustom factory-matched trailer w/EZ lube hubs, swing-away tongue w/retractable safety cables and all-welded frame w/GalvaShield protection LESS FUEL. MORE FISHING. 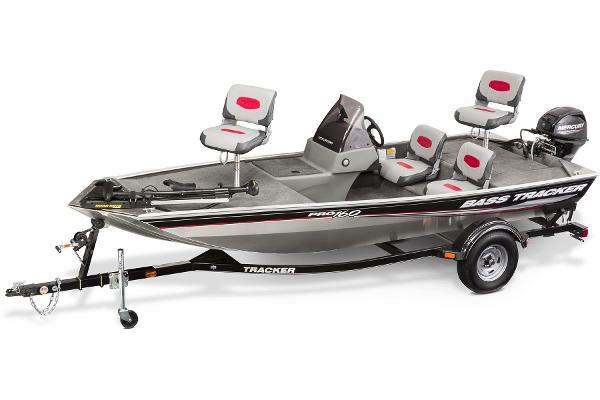 Equipped and styled like its bigger siblings in our Mod V lineup, the ALL-NEW TRACKER Pro 165 is one of the most affordable ways to join the Pro line of America's favorite fishing boats. It turns in a strong performance wherever it goes on its all-welded .100 aluminum hull w/ a wide, stable 54" (1.37 m) bottom. 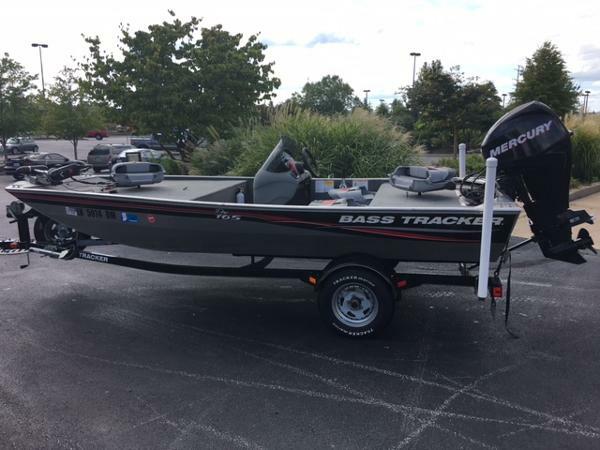 It's a Pro all over-equipped with a Lowrance X50 DS fishfinder, MotorGuide trolling motor, 15-gallon aerated bow livewell and powered by an eager Mercury outboard-all riding on a factory-matched TRACKER trailer. 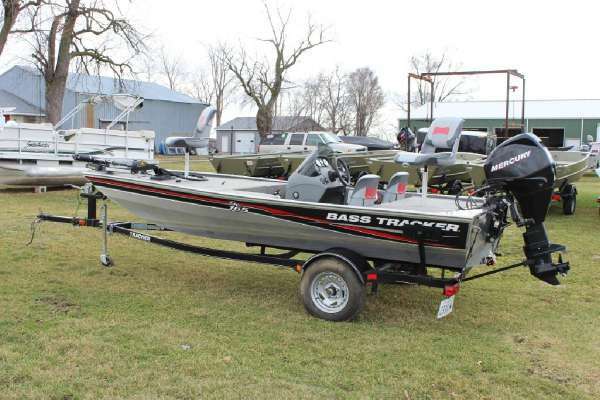 This is one smooth-riding, value-packed fishing boat. 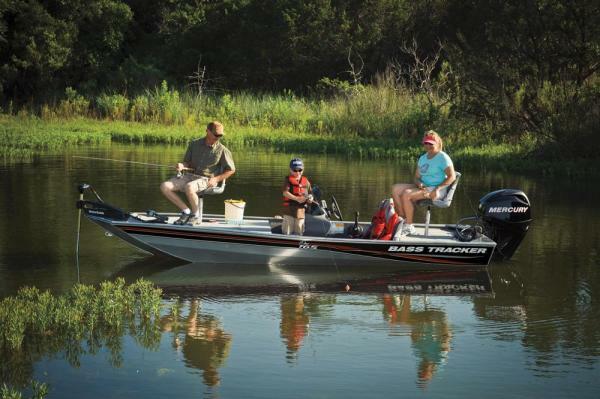 Using less fuel when you tow it, and less fuel when you get to the lake, that adds up to MORE FISH PER GALLON! 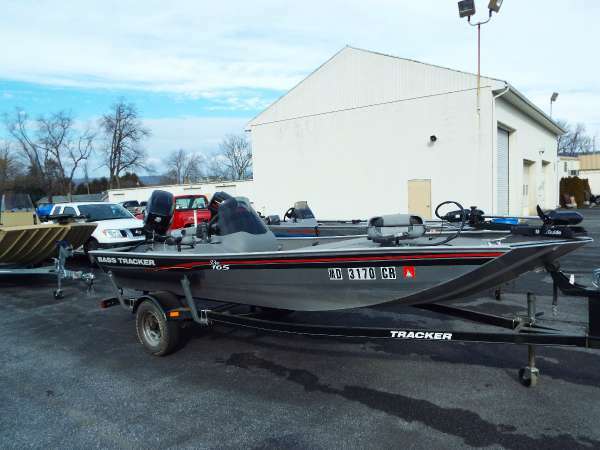 2011 Tracker Pro 165 Mercury 40hp, Depth Finder, Trolling Motor, Trailer, Live Well, Carpet, 2 Travel Seats, 2 Fishing Seats.